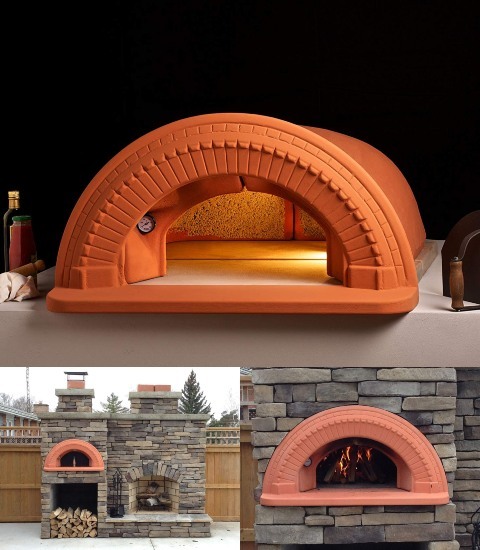 Here is another beautiful pizza oven that lets you bake authentic pizza in your backyard. 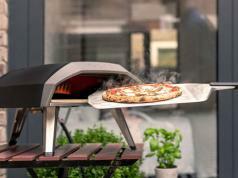 The Spazio Pizza Oven comes with 2″ thick floor and dome. A thermometer is built into it. 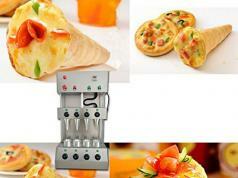 The door is 19″ wide, so you can easily enter large pies into the oven. The arch weighs about 80lbs and measures 40″ wide x 20″ high x 7″ deep. 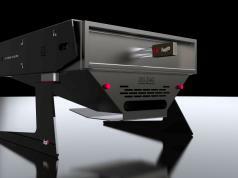 This oven can bake 17lb pizzas in 15 minutes.